We have all experienced the lovely game of Tetris while trying to fit our many things in a space that just isn’t big enough. The struggle is real! When working with a small backyard, there are a few things that should be considered when looking to design your space. Normally, when working to open a room inside the house, putting a mirror on the wall does the trick in making your mind think that the room is bigger than it really is. These optical illusions work wonders in opening a space, but we wouldn’t use a mirror to open up the space in a backyard. The next best option would be glass. Glass railing systems, glass fencing and glass gates are not only classy to look at, but they allow you to see out and through extending the backyard to as far as the eye can see. These simple additions to a deck or pool area will bring an elegant addition to any home, while also raising the property value. Living in a small house can be a little hectic at times and if we are lucky to have a porch or small backyard to go to for fresh air, then we are winning. These even smaller spaces outside of our homes become a haven for us and making the most of this space is important. If you want that little escape zone to feel bigger, choosing a glass railing system to line your yard or deck is going to do more than just extend your view, these glass railing systems are built to last. The last thing we want is to invest in something that is going to corrode or waste away after a couple storms blow by. With glass fences and glass railing systems made of thick tempered and laminated glass, you’ll end up saving yourself money in the future by not having to replace a fence that didn’t make it through the winter. If you have the luxury of having a pool or hot tub in the backyard of your tiny space, then you are double winning! 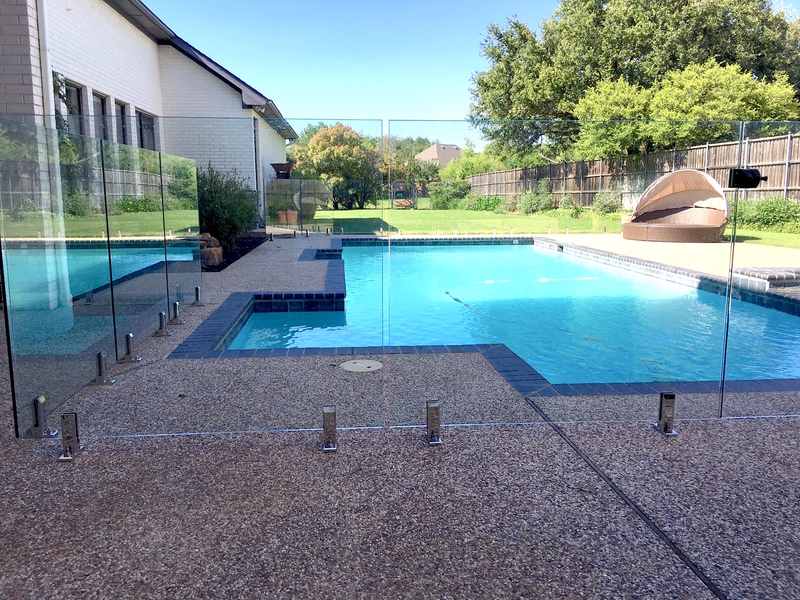 Finding the right enclosure to surround your pool area or hot tub is imperative for safety reasons, and by choosing to use a glass pool fence, it will make the yard look bigger and also add a sleek design to your yard at the same time. No more solid barriers that make you feel like the walls are closing in on you. 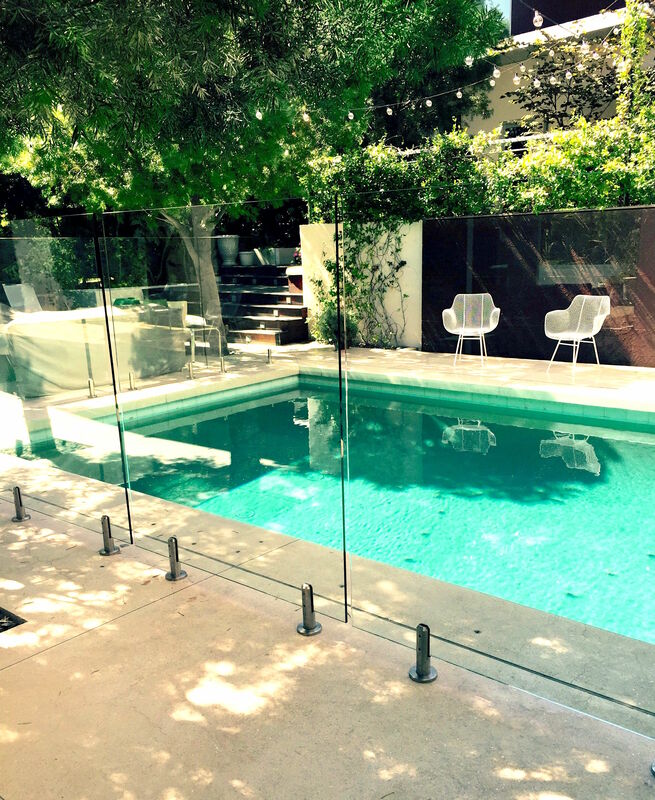 Frameless glass pool fences make seeing out effortless. Also, having a glass gate that is self-closing and self-latching is vital, especially with kids and pets running around. Glass fences and glass gates that are made up to code with proper height requirements and the ability to bar any small human from entering, makes for the perfect addition to any backyard. Open your space and take advantage of every inch of your home and yard. 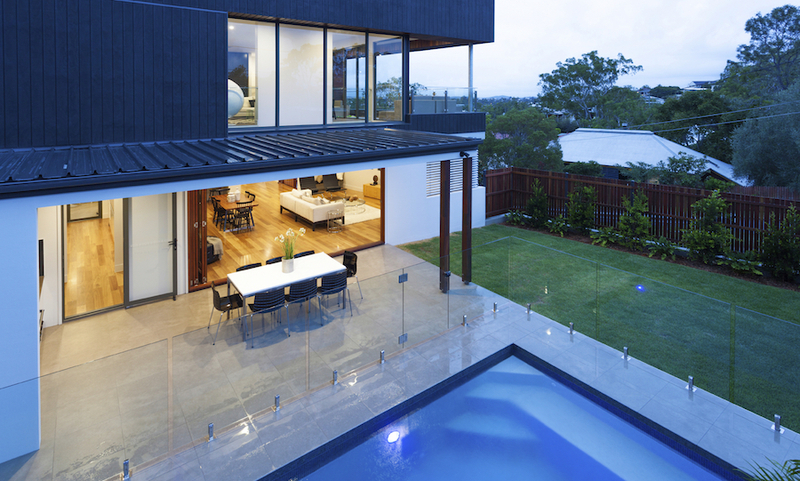 Keeping your pool area safe, while also adding a stylish space saver never looked so good! Take down those solid fences and give your yard the face lift of a lifetime.